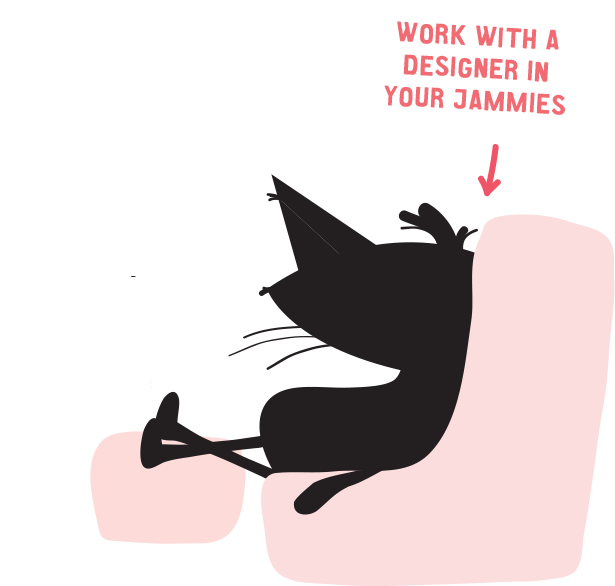 Can I just say I LOVE designing signage? Wedding signs have really exploded on Pinterest over the last few seasons and I couldn’t be happier our couples keep asking for more! Unfortunately, it’s one of those items that sometimes hits the cutting room floor due to a dwindling budget, so we recommend putting some funds aside for this early on. Well-thought-out signage really adds to the guests’ experience at your event. 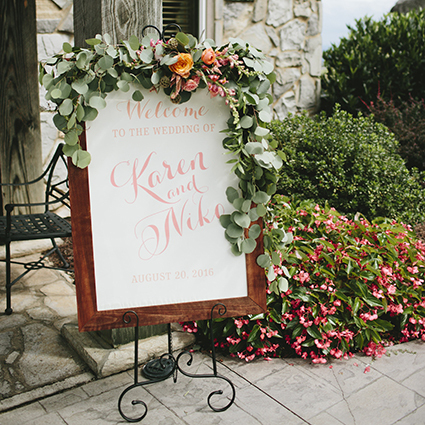 Some are just for show (and those sure are pretty — see the welcome signs below) but there are also really helpful signs that keep things running smoothly. 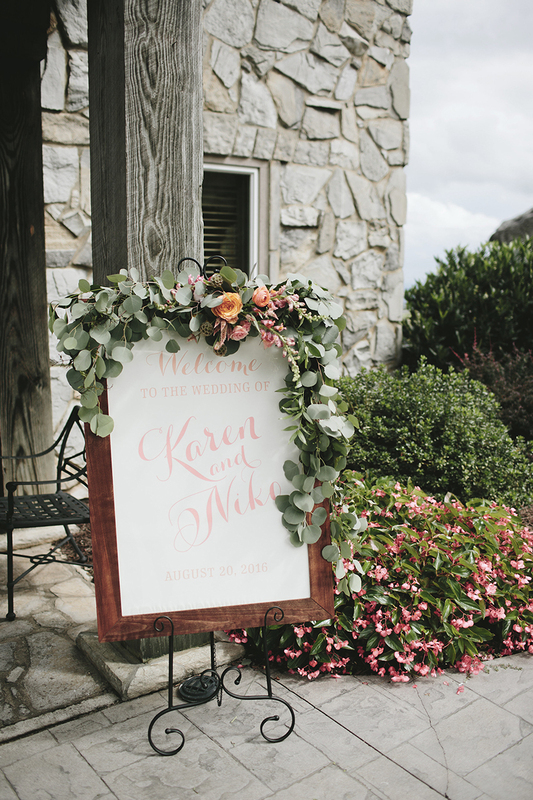 For instance, if your venue has a confusing entryway, we love creating direction signs with your monogram to lead the way. 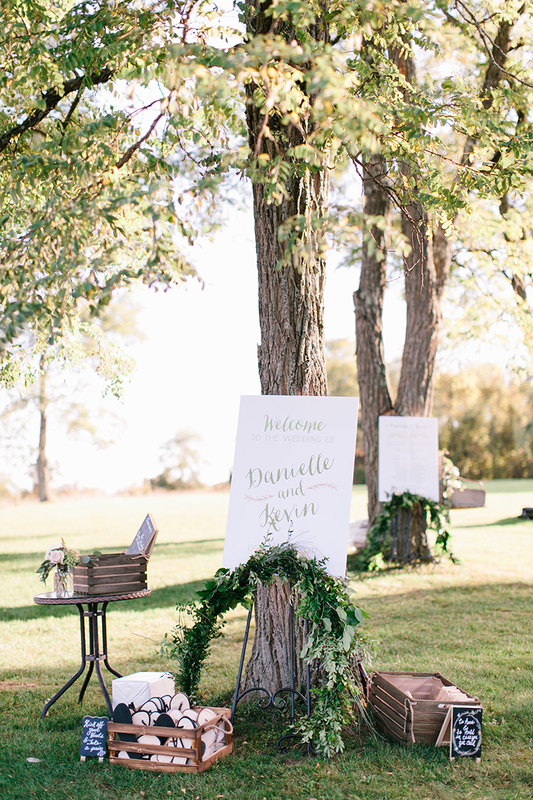 By the way, welcome signs are so much fun for your guests. They love taking turns snapping photos next to them. 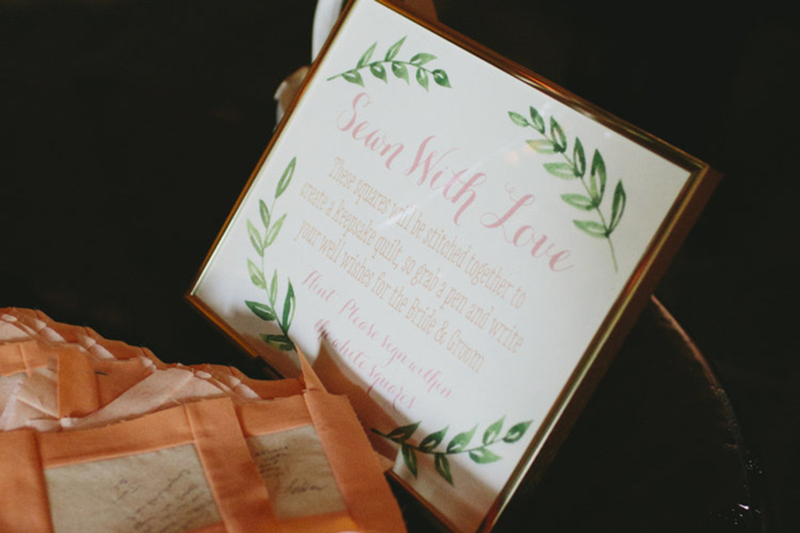 They’re also helpful for those out-of-the-box guest book ideas. More and more couples are moving away from traditional guest books, leaving older guests a little in the dark. 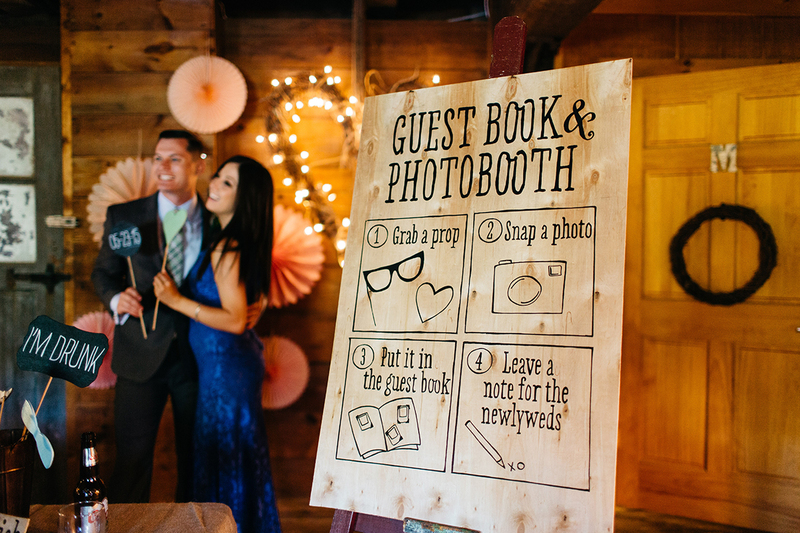 I love providing a sign with quick instructions to help your great aunts with the whole “DIY photo-booth/guestbook” thing. Keep in mind, things that may seem obvious to us obsessive Pinners, might not be to everyone else. Like that time I was planning a barn wedding at a horse farm and people were asking me if they could wear jeans… how quickly I forget that not everyone browses semi-formal barn weddings until 2am. Back to that out-of-the-box thing. This couple chose to have guests sign quilt squares. These were later stitched together by a family friend. 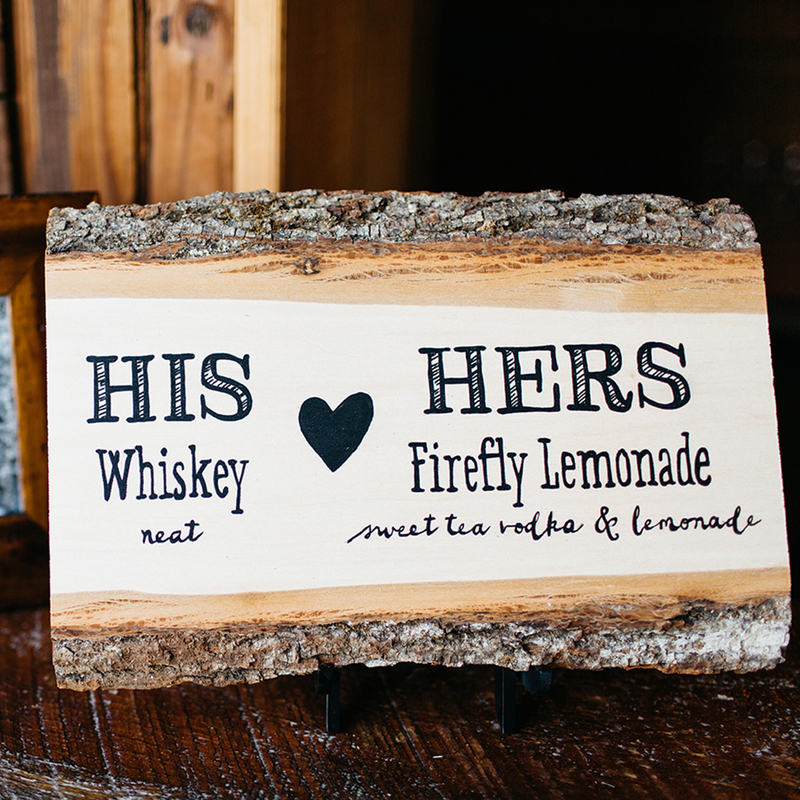 We also love creating signs to place on the favor table and on the bar to list your specialty cocktails. These can be printed and framed. Or we can point you in the direction of a talented calligrapher. Remember, we have lots of friends who can write on wood, glass, agate and more. 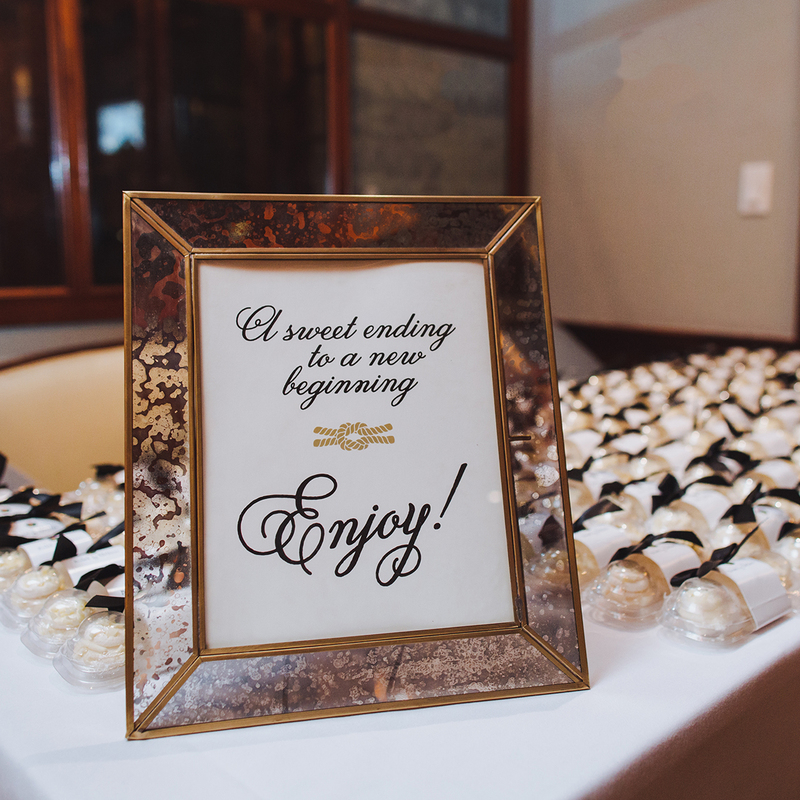 Ready to design all the special little details for your wedding day? Give us a call or book online.